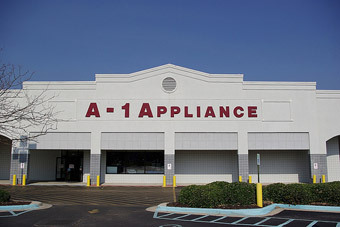 Get to know us and you will trust A-1 Appliance Parts to handle all of your appliance parts repair needs. A quick glimpse at our history and dedication to our customers will prove our worth. In March of 1979, A-1 Appliance Parts opened its doors for business. I had the pleasure of being the very first employee. I was the manager of operations, accounting, purchasing, sales, counter, and oh yes, manager of the janitorial staff. Yes, one man for all occasions. Oh, by the way, I was also the father of two wonderful children and the husband of a loving and understanding wife. Wow! How could someone fail with no one else to blame! A-1 Appliance now operates a number of walk-in retail stores in five different states and has been involved in E-commerce since 1996. We continue to grow and expand in avenues that will help to better server you. We recently moved into a new 45,000 square foot building which greatly increases our ability to serve our customers. The new move makes use one of the largest parts distributors in the South East. Now, in reflecting back, we truly realize that our success came by our focus on you, our devoted customers. You took us as weak as we were and gave us a chance to serve you. Thank you!